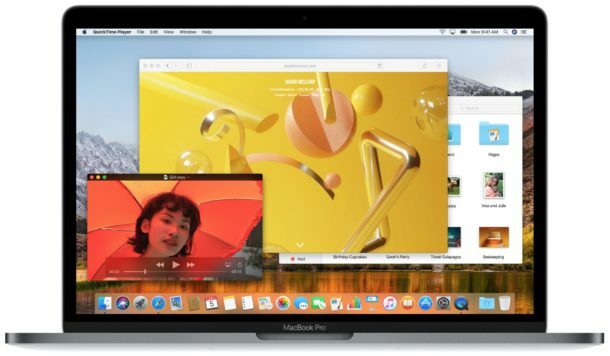 macOS High Sierra isn’t necessarily a giant feature packed system software release, and instead it aims to improve and refine the overall experience of the Mac operating system. But that doesn’t meant there aren’t some exciting new features and changes coming to macOS 10.13 when it debuts in the fall. Let’s review a handful of some of the more notable features arriving to the Mac with MacOS High Sierra. Some of the main MacOS High Sierra features are entirely under the hood. This includes the all new APFS file system, which offers built-in encryption and dramatically improved speed for tasks like file copying and size calculation faster than ever before. There’s also built-in support for better video compression, support for external GPU hardware, and support for Virtual Reality. The improved Metal 2 architecture and VR support should be particularly appreciated by gamers. Safari now has a per website Safari settings feature, this allows you to easily modify location data, camera, microphone, tracking, page zoom and text size, auto-playing of media, and more, on a per webpage basis. This is perfect if you visit a site or two with microscopic font sizes and find yourself constantly increasing the text size in Safari, since now you can set it once for that webpage and it won’t carry over elsewhere. You can also use a persistent Reader mode feature that allows you to browse the web in Reader mode constantly, which offers a stripped down view of webpages and can help reduce bandwidth usage and clutter. Oh and Safari also will automatically stop and silence auto-playing videos, and it aims to prevent some of the tracking features found on the web through various third party services. Siri gains improvements to voice quality and intonation, just like it does in iOS 11. 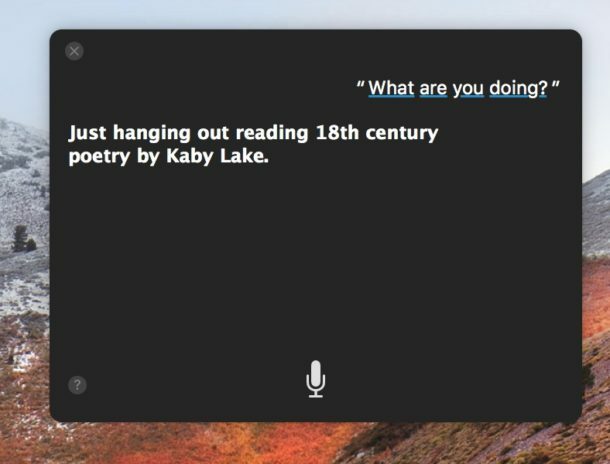 Also, Siri on the Mac gains Type To Siri support, allowing users to query and command Siri by text commands and typing rather than voice commands. You can now easily share any file stored in iCloud Drive with anyone else via a clickable link, who can then edit and make changes to a shared document or file. 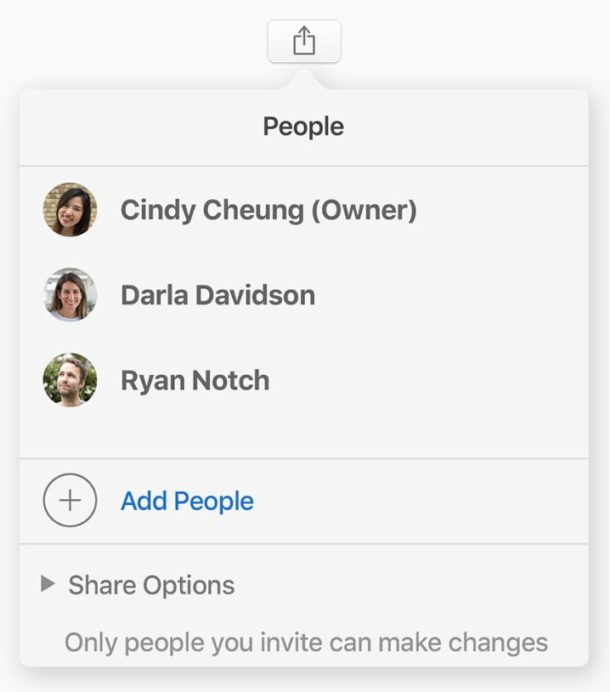 This is sort of like how the Mail Drop feature works except it’s with any file at all, and it can be accessed directly from the share sheets in Mac OS. A new Mail app split-screen view allows you to compose a new email or reply to an email in a panel right next to the inbox management screen. This is a nice feature for those who use Mail app in full screen mode on the Mac. Mail app also takes up much less storage space, so if you have a ton of emails stored, maintained, and archived on your Mac it should take up less storage capacity on the Mac itself. Wait, what’s the deal with the name MacOS High Sierra? 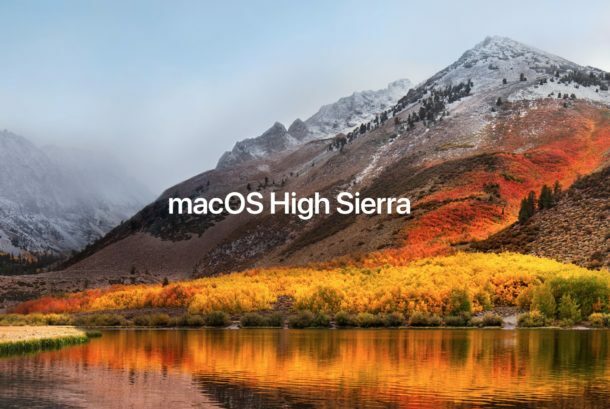 The naming convention of MacOS High Sierra has confused some users, but the name shouldn’t be foreign to California residents (which is also where Apple corporate headquarters is located). Basically, the High Sierra is a reference to the higher elevation points of the Sierra Nevada mountain range in California. 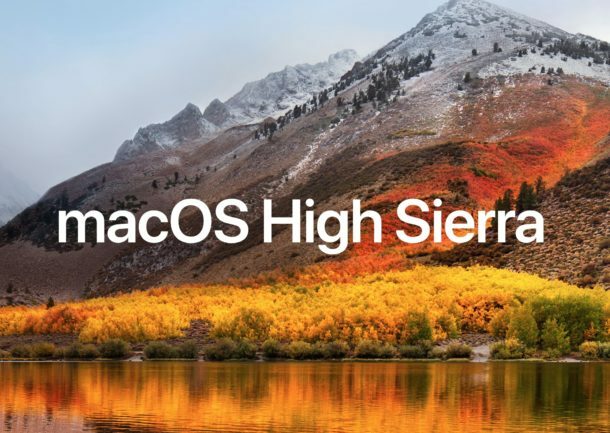 So what does the name High Sierra imply? As Apple has done in the past, the name likely indicates this version of Mac OS is a refinement release, so High Sierra is to Sierra as to what Snow Leopard was to Leopard, Mountain Lion was to Lion, and El Capitan was to Yosemite. MacOS High Sierra is available now as a beta to download, but the vast majority of users are better served waiting until the fall for the final release to be made available. It’s worth reviewing the MacOS High Sierra compatibility list, but in short if your Mac runs Sierra then it can also run High Sierra. F.lux app. This is even better than DARK. I installed it for free just do a search and you will find it. It works fantastically. I have very bad vision, and cataracts on both of my eyes, plus macular degeYou can set it to change modes and darken at certain times, as well. Give it a try, if you want, I know I won’t go without it anymore. with my Mac. Do you think the new Filesystem will require changes to older documents saved under Sierra and before? Will you be able to read old documents or will you have to convert them to a new format? Will old apps have to be updated to work with the new Filesystem in terms of opening and saving documents? the file system format is 100% independent of application format. Therefore you will be able to read old documents without any conversion. Old apps will not need to be updated. Apps talk to the operating system and the operating system takes care of talking to the file system. Perhaps Siri will have a brain, IMO in the last year, it’s gotten dumber, not smarter. I don’t bother to even use it anymore, it never, ever responds to what I ask, no matter how slow and monotone I speak to it. Regarding Mail, instead of adding more features that may or may not work, Apple needs to fix the bug that causes column sizes to NOT revert to what they were set when resizing Mail main window views. So f’n annoying. The biggest issue Apple need to tend to IMO is dealing with merging multiple iTunes/App store accounts. There has never been a resolve for this, and support basically has no answers. MAIL.APP has had one major bug in it for a year now, that is that it doesn’t show the number of attachments. The other bug seems to be when opening an email the size of the window is extremely small and even adjusting the last email size it seems to forget the last size. I wouldn’t even use this feature is it weren’t for the number of attachments bug. I am getting on in years and seeing a form that is white on white is beginning to be a PITA. The last issue is the calender.app does not usually give the sound that was assigned. This has been around since day 1. Apple should make coloured mailbox choice for Mail. Simple probably, but effective. Cue tons of complaining about how apple has gone to heck, why it’s now for kids only, why can’t they go back to the feature I loved from Tiger. Hey, Tiger wasn’t that bad actually – my mom’s computer still ran it until last December. I want to switch back to mt lion but the new iPad needs the current OS X. Im just hope the new OS X has less spinning ball when switching apps. I’m tired off all these updates, ever since 1989! I have a mini that still is running Snow Leopard, I just keep it offline so there’s never a chance of any security issues. I really like the Reader feature. But if my Mac Mini dates back to 2012, when should I stop updating? It seems OK with Sierra, although I don’t do things like movies or games. Mid-2010 MacBook user here. Sierra’s still working fine, but when I tried out High Sierra developer beta on a second partition it was much worse, fwiw. I’m back on Sierra now. Will the new macOS High Sierra fix the annoying pop up message of “Another device is using your IP address and does a slow internet download speed of 2.5 mbps cause this problem too? Not if another device is using the same IP address as your Sierra device. I still use OS X 10.6.8. I always check out the latest releases but I don’t really care much for them. Features that I just don’t care for plus more spinning beach balls. Releases have become more frequent while bugs and optimizations get left behind. I just want a stable and fast OS. Not a bunch of ridiculous features. That why I’m still on Snow Leopard. The only other version I would use would be Mountain Lion. The more idiotic features in Mac, the more spinning beachballs. I don’t use NO wifi, NO idiotic Siri, NO bluetooth, and nothing else that I will ever need. Unfortunately I’m addicted to refreshing my iMac, and try to get a new iMac every 4 yrs.